Please tell us a bit about HEXO+. What is it and what does it do? 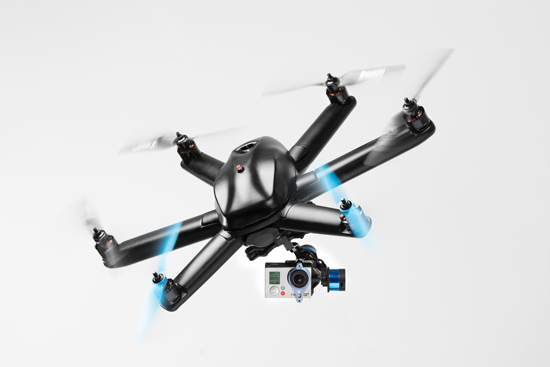 HEXO+ is a solution for everyone interested to capture easily awesome aerial footage. It’s a drone with an intelligent system that allows anyone to program it and have it to either track a subject or follow planned scenarios. It’s a solution for parents that want to be in the picture with their kids, for action sport professional that can’t afford to bring a full crew along with them, for adventurer that reach remote places no one else dare to go. It can also make the life of DIY movie maker easier, basically there are no restriction to its use, but the fact that based on GPS signal it needs to be outdoor to be used autonomously. You raised money for development on Kickstarter. What will you use the money for? The kickstarter support received from our backers will help us to keep on developing and structuring the company. It will also allow us to get more resources at many level to offer a product that will be better that what we had in mind. What kickstarter brought us also is an amazing community gathered around our project and willing to give input, feedback and be active in the HEXO+ development. Can you describe for us some of the pros and cons of your Kickstarter experience? Pros: knowing we were not the only one wanting that product, the huge support from the community created around HEXO+, medias support. What technology does the HEXO+ use to allow it to stay on track autonomously? HEXO+ is based on a standard flight controller with 6-axis accelerometers, 3 axis gyroscopes, and a barometric sensor (for altitude) from 3D Robotics coupled with GPS and compass. Our team of aeronautics software engineers have added functionalities in order to enable the drone to position itself relatively to your smartphone and follow you. The combination of data gathered by sensors in your smartphone enable very fine tracking both on the horizontal and vertical planes. So yes, HEXO+ will follow you if you go downhill too and yes, despite what some people have said, it is definitely possible to use a smartphone for tracking and obtain excellent results. HEXO+ can switch from autonomous to manual mode, which means all the more ‘conventional’ uses of a drone are possible: manual control with RC controller or flight plan with GPS waypoints. Our focus is on making aerial filming with a drone accessible to anyone. This is why we do not supply a RC controller, and develop a user interface so intuitive even our grand parents can control the drone: just few gestures to set it up, push a button and it takes-off and follows you. In the end, a simple button will auto-land your drone so that you can collect your videos. Takeoff and landing are completely autonomous, no need to be experienced with drones to get HEXO+ to fly and film you. Now, HEXO+ is a sweet little copter in its own right, so for those of you who want to manually control the drone, it’s totally feasible: a DSM2 compatible radio receiver is built-in so any RC controller compatible with this standard will work. If you already have a non-DSM2-compatible RC controller you’d like to use, you can connect any RX module that supports PPM mode and has more than 6 channels to HEXO+ and that will do. Since HEXO+ relies essentially on software, we will be releasing software upgrades on a regular basis so your system will keep improving once you have it. This will be done easily through a USB port between your computer and HEXO+. Some of you asked if we were using WiFi to control the drone; it’s not the case. HEXO+ is communicating with the smartphone through the MAVLINK protocol over 400MHz or 900MHz RF band (depending of your country). The smartphone is used as a tracker: with a small telemtry add on, no bulky extra device needed, to power or to recharge. 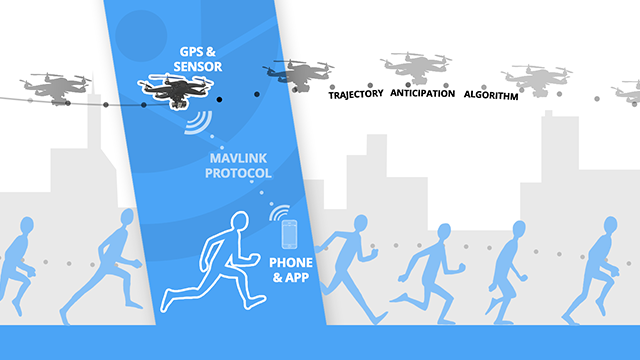 To make it work, we use predictive algorithms combining internal sensors in the smartphone and GPS signal to anticipate your trajectory and control the drone accordingly. The same protocol allows to retrieve information about HEXO+’s status, such as battery charge, attitude,… which can be used either as information for the user, or to trigger specific events (fail-safe, auto-land, hover etc…). Technically, the drone can be as far from the gps as 2 kilometers, but we advise you to research and respect your local regulations. WiFi on the other hand is used to get the live video feedback from your GoPro. Once the drone has taken off, you can adjust the position of HEXO+ via our app to make sure the framing is perfect before you start moving. WiFi is not used after this set-up phase unless you still want to have the video feedback but that will only work until you lose the wifi signal (~30 m). What are the primary uses of HEXO+? 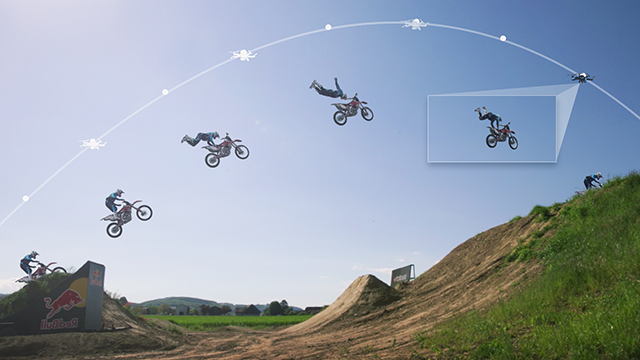 Everyday life you want to capture, Action sport oriented performances, cinematography. Are there other applications for this technology that you have explored? We’ve been receiving requests from coaches from team sport who asked about HEXO+ to help organize their training. How are you planning to market the product and who is your primary customer? Action sports fans and movie makers are the one that are our early adopters. Are you working on any other products that you would like to talk about here? We have other products in mind, but one thing at a time.